Dell - KX606 Dell KX606 PV220s Ultra 320 EMM SCSI Controller Card Board. IBM - 351518-001 HP/COMPAQ - 128MB BATTERY BACKED WRITE CACHE (BBWC) MODULE - FOR SMART ARRAY 641 ULTRA320 CONTROLLER SMART ARRAY 642 ULTRA320 CONTROLLER OR SMART ARRAY 6I CONTROLLER (351518-001). NEW BULK. IN STOCK. SHIP SAME DAY. Hewlett Packard - 355999-001 HP/COMPAQ - 128MB BATTERY BACKED WRITE CACHE (BBWC) MODULE - FOR SMART ARRAY 641 ULTRA320 CONTROLLER SMART ARRAY 642 ULTRA320 CONTROLLER OR SMART ARRAY 6I CONTROLLER (355999-001). NEW BULK. IN STOCK. SHIP SAME DAY. 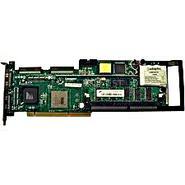 Hewlett Packard - LSI22320-HP HP/COMPAQ - DUAL CHANNEL 64BIT 133MHZ PCI-X ULTRA320 SCSI CONTROLLER (LSI22320-HP). NEW BULK. IN STOCK. SHIP SAME DAY. Compaq - 272653-001 HP/COMPAQ - DUAL CHANNEL 64BIT 133MHZ PCI-X ULTRA320 SCSI CONTROLLER (272653-001). NEW BULK. IN STOCK. SHIP SAME DAY. IBM - 32P0033-E IBM - SERVERAID 6M DUAL CHANNEL PCI-X 133MHZ ULTRA320 SCSI CONTROLLER WITH 128MB CACHE (32P0033-E). CLEAN TESTED. IN STOCK. SHIP SAME DAY. IBM - 13N2249 IBM - SINGLE CHANNEL 64BIT 133MHZ PCI-X LOW PROFILE ULTRA320 SCSI CONTROLLER (13N2249). NEW BULK. IN STOCK. SHIP SAME DAY. 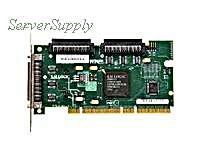 IBM - 02R0985 IBM - SERVERAID 6M DUAL CHANNEL PCI-X 133MHZ ULTRA320 SCSI CONTROLLER WITH 128MB CACHE (02R0985). CLEAN TESTED. IN STOCK. SHIP SAME DAY. IBM - 39R8798 IBM - SERVERAID 6I+ ULTRA320 SCSI CONTROLLER WITH 128MB CACHE (39R8798). CLEAN TESTED. IN STOCK. SHIP SAME DAY. Hewlett Packard - 268350-001 HP/COMPAQ - DUAL CHANNEL 64BIT 133MHZ PCI-X ULTRA320 SCSI CONTROLLER (268350-001). NEW BULK. IN STOCK. SHIP SAME DAY. IBM - 32P0033 IBM - SERVERAID 6M DUAL CHANNEL PCI-X 133MHZ ULTRA320 SCSI CONTROLLER WITH 128MB CACHE (32P0033). CLEAN TESTED. IN STOCK. SHIP SAME DAY. IBM - 39R8793 IBM - SERVERAID 6I+ ULTRA320 SCSI CONTROLLER WITH 128MB CACHE (39R8793). CLEAN TESTED. IN STOCK. Hewlett Packard - 011786-000 HP/COMPAQ - 128MB BATTERY BACKED WRITE CACHE (BBWC) MODULE - FOR SMART ARRAY 641 ULTRA320 CONTROLLER SMART ARRAY 642 ULTRA320 CONTROLLER OR SMART ARRAY 6I CONTROLLER (011786-000). NEW BULK. IN STOCK. SHIP SAME DAY. Hewlett Packard - 268351-B21 HP/COMPAQ - DUAL CHANNEL 64BIT 133MHZ PCI-X ULTRA320 SCSI CONTROLLER (268351-B21). NEW BULK. IN STOCK. SHIP SAME DAY. IBM - 13N2186 IBM - SERVERAID 6M DUAL CHANNEL PCI-X 133MHZ ULTRA320 SCSI CONTROLLER WITH 256MB CACHE (13N2186). CLEAN TESTED. IN STOCK. SHIP SAME DAY. IBM - 39R8743 IBM - SINGLE CHANNEL 64BIT 133MHZ PCI-X LOW PROFILE ULTRA320 SCSI CONTROLLER (39R8743). NEW BULK. IN STOCK. SHIP SAME DAY. IBM - 97P3359 IBM - DUAL CHANNEL PCI-X ULTRA320 SCSI CONTROLLER (97P3359). NEW BULK. IN STOCK. SHIP SAME DAY. IBM - 39R8750 IBM - SINGLE CHANNEL 64BIT 133MHZ PCI-X ULTRA320 SCSI CONTROLLER (39R8750). NEW BULK. IN STOCK. SHIP SAME DAY. 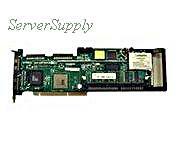 Hewlett Packard - 403051-001 HP/COMPAQ - SINGLE CHANNEL 64BIT 133MHZ PCI-X ULTRA320 SCSI HOST BUS ADAPTER (403051-001). NEW BULK. IN STOCK. SHIP SAME DAY . IBM - 13N2250 IBM - SINGLE CHANNEL 64BIT 133MHZ PCI-X ULTRA320 SCSI CONTROLLER (13N2250). NEW BULK. IN STOCK. SHIP SAME DAY. IBM - 39R8817 IBM - SERVERAID 6M DUAL CHANNEL 133MHZ PCI-X ULTRA320 SCSI CONTROLLER WITH 128MB CACHE (39R8817). CLEAN TESTED. IN STOCK. SHIP SAME DAY. IBM - 71P8613 IBM - SINGLE CHANNEL 64BIT 133MHZ PCI-X LOW PROFILE ULTRA320 SCSI CONTROLLER (71P8613). NEW BULK. IN STOCK. SHIP SAME DAY. IBM - 71P8595 IBM - SERVERAID 6I ZERO CHANNEL 133MHZ 64BIT PCI-X ULTRA160/ULTRA320 SCSI CONTROLLER CARD ONLY (71P8595). CLEAN TESTED. IN STOCK.SHIP SAME DAY. IBM - 30R5103 IBM - SERVERAID 6M DUAL CHANNEL PCI-X 133MHZ ULTRA320 SCSI CONTROLLER WITH 128MB CACHE (30R5103). CLEAN TESTED. IN STOCK. SHIP SAME DAY. IBM - 02R0998 IBM - SERVERAID 6M DUAL CHANNEL PCI-X 133MHZ ULTRA320 SCSI CONTROLLER WITH 256MB CACHE (02R0998). CLEAN TESTED. IN STOCK. SHIP SAME DAY. IBM - 02R0988 IBM - SERVERAID 6M DUAL CHANNEL PCI-X 133MHZ ULTRA320 SCSI CONTROLLER WITH 256MB CACHE (02R0988). CLEAN TESTED. IN STOCK. SHIP SAME DAY. IBM - 13N2198 IBM - SERVERAID 6M DUAL CHANNEL PCI-X 133MHZ ULTRA320 SCSI CONTROLLER WITH 256MB CACHE (13N2198). NEW BULK. IN STOCK. SHIP SAME DAY. Compaq - 351580-B21 128MB BATTERY BACKED WRITE CACHE PN: 351580-B21. FOR SMART ARRAY 641 ULTRA320 CONTROLLER OR SMART ARRAY 642 ULTRA320 CONTROLLER - INCLUDES MEMORY (351518-001) AND BATTERY (307132-001 or 274779-001) . SAME AS 359250-001 366272-001. Hewlett Packard - 399480-001 HP/COMPAQ - SINGLE CHANNEL 64BIT 133MHZ PCI-X ULTRA320 SCSI HOST BUS ADAPTER (399480-001). (SHORT BRACKET) NEW BULK. IN STOCK. SHIP SAME DAY. 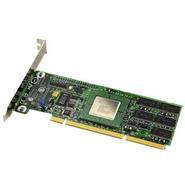 Hewlett Packard - LSI20320C-HP HP/COMPAQ - SINGLE CHANNEL 64BIT 133MHZ PCI-X ULTRA320 SCSI HOST BUS ADAPTER (LSI20320C-HP). NEW BULK. IN STOCK. SHIP SAME DAY. 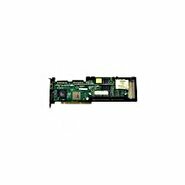 Hewlett Packard - 374654-B21 HP/COMPAQ - SINGLE CHANNEL 64BIT 133MHZ PCI-X ULTRA320 SCSI HOST BUS ADAPTER (374654-B21). (SHORT BRACKET). NEW BULK. IN STOCK. SHIP SAME DAY. IBM - 02R0986 IBM - BATTERY FOR SERVERAID 6I+/6M ULTRA320 SCSI CONTROLLER. NEW BULK. IN STOCK. SHIP SAME DAY. IBM - 39R8816 IBM - SERVERAID 6M DUAL CHANNEL PCI-X 133MHZ ULTRA320 SCSI CONTROLLER WITH 256MB CACHE (39R8816). CLEAN TESTED. IN STOCK. SHIP SAME DAY. IBM - 71P8643 IBM - SERVERAID 7K PCI-X ULTRA320 SCSI CONTROLLER (71P8643). NEW BULK. IN STOCK.SHIP SAME DAY. IBM - 39R8821 IBM - SERVERAID 6M DUAL CHANNEL PCI-X 133MHZ ULTRA320 SCSI CONTROLLER WITH 128MB CACHE (39R8821). CLEAN TESTED. IN STOCK. SHIP SAME DAY. Hewlett Packard - 390402-B21 HP/COMPAQ - SINGLE CHANNEL 64BIT 133MHZ PCI-X LOW PROFILE ULTRA320 SCSI CONTROLLER FOR PROLIANT SERVER (390402-B21). IN STOCK. SHIP SAME DAY. Intel - SRCU41L INTEL - SINGLE CHANNEL 64BIT PCI ULTRA320 SCSI CONTROLLER WITH 64MB CACHE (SRCU41L). NEW BULK. IN STOCK. SHIP SAME DAY. IBM - 39R8795 IBM - SERVERAID 6I+ PCI ULTRA320 SCSI CONTROLLER (39R8795). CLEAN TESTED. IN STOCK. SHIP SAME DAY. IBM - 71P8642 IBM - SERVERAID 7K ZERO CHANNEL PCI-X ULTRA320 SCSI 256MB CACHE CONTROLLER CARD WITH BATTERY (71P8642). NEW BULK. IN STOCK. IBM - 39R8800 IBM - SERVERAID 7K ZERO CHANNEL PCI-X ULTRA320 SCSI 256MB CACHE CONTROLLER CARD WITH BATTERY (39R8800). NEW BULK. IN STOCK. 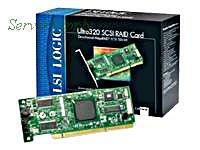 LSI Logic - LSI21320-R LSI LOGIC - DUAL CHANNEL 64BIT 133MHZ PCI-X ULTRA320 SCSI CONTROLLER CARD (LSI21320-R). NEW BULK. IN STOCK. SHIP SAME DAY. IBM - 39R8803 IBM - SERVERAID 7K ZERO CHANNEL PCI-X ULTRA320 SCSI 256MB CACHE CONTROLLER CARD WITH BATTERY (39R8803). NEW BULK. IN STOCK. IBM - 71P8644 IBM - SERVERAID 7K ZERO CHANNEL PCI-X ULTRA320 SCSI 256MB CACHE CONTROLLER CARD WITH BATTERY (71P8644). NEW BULK.IN STOCK.SHIP SAME DAY. Hewlett Packard - 326164-001 SINGLE PORT ULTRA320 SCSI CONTROLLER PN: 326164-001. SAME AS 70-40453-02. FOR STORAGEWORKS. IBM - 39R8801 IBM - SERVERAID 7K ULTRA320 SCSI CONTROLLER WITH BATTERY (39R8801). CLEAN TESTED. IN STOCK. SHIP SAME DAY. IBM - 39R8794 IBM - SERVERAID 6I+ ULTRA320 SCSI CONTROLLER WITH 128MB CACHE (39R8794). CLEAN TESTED. IN STOCK. SHIP SAME DAY. 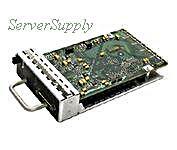 IBM - 25P3492 IBM - SERVERAID 5I -STORAGE CONTROLLER - ULTRA320 SCSI - 320 MBPS INCLUDES BATTERY (25P3492). CLEAN TESTED. IN STOCK. SHIP SAME DAY. 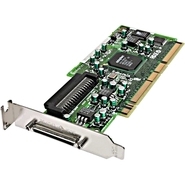 Dell - GC401 DELL - 39320A DUAL CHANNEL PCI-X ULTRA320 SCSI CONTROLLER (GC401). IN STOCK. SHIP SAME DAY. IBM - 25P3482 IBM - BATTERY FOR SERVERAID 5I ULTRA320 SCSI CONTROLLER (25P3482). CLEAN TESTED. IN STOCK. SHIP SAME DAY. IBM - 71P8594 IBM - SINGLE CHANNEL 64BIT 133MHZ PCI-X LOW PROFILE ULTRA320 SCSI CONTROLLER (71P8594). NEW BULK. IN STOCK. SHIP SAME DAY. IBM - 90P5245 IBM - BATTERY PACK FOR SERVERAID 7K ULTRA320 SCSI CONTROLLER (90P5245). NEW BULK. IN STOCK. SHIP SAME DAY. Hewlett Packard - 339051-001 ULTRA320 SCSI CONTROLLER 64 BIT PCI PN: 339051-001. 332541-001 LSI20320. Hewlett Packard - 374654-B21 HP SINGLE CHANNEL ULTRA320 SCSI HOST BUS ADAPTER PN: 374654-B21 403051-001 399480-001. IBM - 97P6513 IBM - DUAL CHANNEL PCI-X ULTRA320 SCSI CONTROLLER (97P6513). NEW BULK. IN STOCK. SHIP SAME DAY. IBM - 39R8804 IBM - BATTERY PACK FOR SERVERAID 7K ULTRA320 SCSI CONTROLLER (39R8804). NEW BULK. IN STOCK. SHIP SAME DAY. 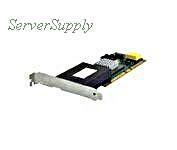 IBM - 02R0970 IBM - SERVERAID 5I -STORAGE CONTROLLER - ULTRA320 SCSI - 320 MBPS INCLUDES BATTERY (02R0970). CLEAN TESTED. IN STOCK. SHIP SAME DAY. 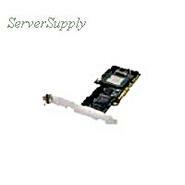 IBM - 02R0968 IBM - SERVERAID 5I -STORAGE CONTROLLER - ULTRA320 SCSI - 320 MBPS INCLUDES BATTERY (02R0968). CLEAN TESTED. IN STOCK. SHIP SAME DAY. 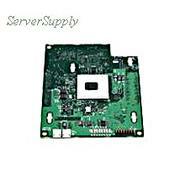 IBM - 32P0016 IBM - SERVERAID 5I -STORAGE CONTROLLER - ULTRA320 SCSI - 320 MBPS INCLUDES BATTERY (32P0016). CLEAN TESTED. IN STOCK. SHIP SAME DAY. 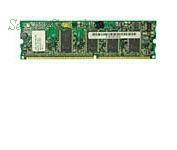 Compaq - 325447-001 HP/COMPAQ - 2120S SINGLE CHANNEL PCI SCSI ULTRA320 CONTROLLER CARD (325447-001). NEW BULK. IN STOCK. SHIP SAME DAY. IBM - 25P3481 IBM - BATTERY FOR SERVERAID 5I ULTRA320 SCSI CONTROLLER (25P3481). CLEAN TESTED. IN STOCK. SHIP SAME DAY. Hewlett Packard - 343826-001 HP/COMPAQ - DUAL PORT ULTRA320 SCSI SHARED STORAGE MODULE FOR MSA500 (343826-001). NEW BULK. IN STOCK. SHIP SAME DAY . Hewlett Packard - 343827-001 HP/COMPAQ - 4CHANNEL ULTRA320 SCSI CONTROLLER WITH 256MB CACHE FOR MSA500 G2 (343827-001). IN STOCK. SHIP SAME DAY. 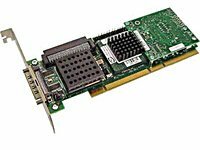 Hewlett Packard - 365289-B21 HP/COMPAQ - SINGLE CHANNEL 64BIT 133MHZ PCI-X ULTRA320 SCSI HOST BUS ADAPTER (365289-B21). NEW BULK. IN STOCK. SHIP SAME DAY. Hewlett Packard - 439946-001 HP/COMPAQ - SC11XE SINGLE CHANNEL 68PIN PCI-E X4 LVD ULTRA320 SCSI HOST BUS ADAPTER (439946-001). NEW BULK. IN STOCK. SHIP SAME DAY. Hewlett Packard - 412911-B21 HP/COMPAQ - SC11XE SINGLE CHANNEL 68PIN PCI-E X4 LVD ULTRA320 SCSI HOST BUS ADAPTER (412911-B21). NEW BULK. IN STOCK. SHIP SAME DAY. 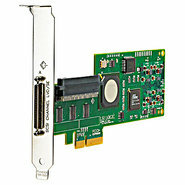 LSI Logic - LSI20320-R-B-F LSI LOGIC - SINGLE CHANNEL 64BIT 133MHZ PCI-X ULTRA320 SCSI CONTROLLER CARD. NO CABLE (LSI20320-R-B-F). NEW BULK. IN STOCK. SHIP SAME DAY. 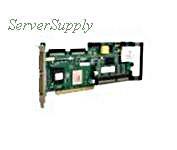 Compaq - 366638-001 HP/COMPAQ - SINGEL CHANNEL 64BIT 133MHZ PCI-X ULTRA320 SCSI HOST BUS ADAPTER (366638-001). NEW BULK. IN STOCK. SHIP SAME DAY. Compaq - 272653-001 DUAL CHANNEL 64BIT 133MHZ PCI-X ULTRA320 SCSI CONTROLLER PN: 268351-B21. 272653-001. LSI22320. 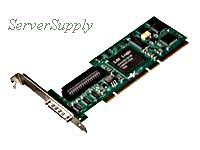 LSI Logic - A1574776 LSI LOGIC - SINGLE CHANNEL PCI-EXPRESS LOW PROFILE 1 INT + 1 EXT ULTRA320 SCSI HOST BUS ADAPTER. NO CABLE (A1574776). NEW BULK. IN STOCK. SHIP SAME DAY. 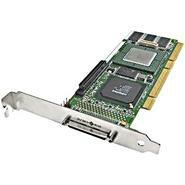 LSI Logic - LSI00154 LSI LOGIC - SINGLE CHANNEL PCI-EXPRESS LOW PROFILE 1 INT + 1 EXT ULTRA320 SCSI HOST BUS ADAPTER. NO CABLE (LSI00154). NEW BULK. IN STOCK. SHIP SAME DAY. Hewlett Packard - 335882-B21 HP/COMPAQ - 4PORT ULTRA320 SCSI I/O MODULE FOR MSA500 G2 CLUSTER STORAGE SYSTEM (335882-B21). CLEAN TESTED. IN STOCK. SHIP SAME DAY. 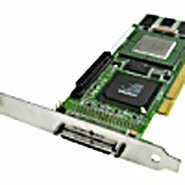 Sun - SGXPCI1SCSILM320-Z SUN - STORAGETEK SINGLE PORT PCI-X ULTRA320 SCSI HOST BUS ADAPTER (SGXPCI1SCSILM320-Z). CLEAN TESTED. IN STCOK. SHIP SAME DAY. 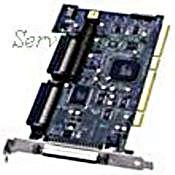 Hewlett Packard - AB290A HP/COMPAQ - 2GB DUAL PORT PCI-X 1000BASE-T ULTRA320 SCSI ADAPTER (AB290A). NEW BULK. IN STOCK. SHIP SAME DAY. 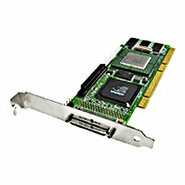 LSI Logic - LSI22320SE LSI LOGIC - LSI22320SE DUAL CHANNEL PCI EXPRESS X4 ULTRA320 SCSI HOST BUS ADAPTER. NO CABLE (LSI22320SE). NEW BULK. IN STOCK. SHIP SAME DAY. 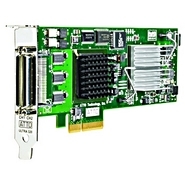 LSI Logic - LSI00153 LSI LOGIC - LSI22320SE DUAL CHANNEL LOW PROFILE PCI EXPRESS X4 ULTRA320 SCSI HOST BUS ADAPTER. NO CABLE (LSI00153). NEW BULK. IN STOCK. SHIP SAME DAY. 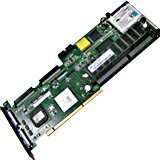 Dell - 341-7044 DELL - SINGLE CHANNEL PCI EXPRESS X1 ULTRA320 LOW PROFILE SCSI CONTROLLER CARD ROHS (341-7044). NEW BULK. IN STOCK.SHIP SAME DAY. Hewlett Packard - 411085-001 ULTRA320 DUAL BUS I/O MODULE PN: 411085-001. SAME AS 70-40458-12. FOR STORAGEWORKS. 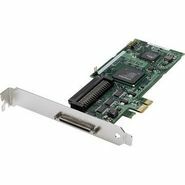 Hewlett Packard - AH627A HP/COMPAQ - STORAGEWORKS DUAL CHANNEL PCI-EXPRESS X4 ULTRA320E LVD SCSI HOST BUS ADAPTER (AH627A). NEW BULK. IN STOCK. SHIP SAME DAY. IBM - 43W4324 IBM - SINGLE CHANNEL PCI EXPRESS STD/LP ULTRA320 SCSI CONTROLLER CARD (43W4324). NEW FACTORY SEALED. IN STOCK. SHIP SAME DAY. 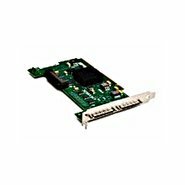 Hewlett Packard - AD577A HP/COMPAQ - STORAGEWORKS E1200-320 ULTRA320 SCSI 4GB FIBRE CHANNEL INTERFACE CARD FOR MSL LIBRARIES (AD577A). NEW BULK. IN STOCK. SHIP SAME DAY.